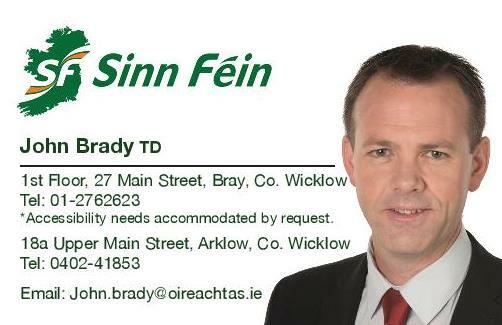 Sinn Féin TD for Wicklow/East Carlow John Brady TD has expressed his support for Bus Éireann workers and for those who rely on their services. Teachta Brady joined the Bus Éireann workers who were picketing outside Leinster House at lunchtime today. 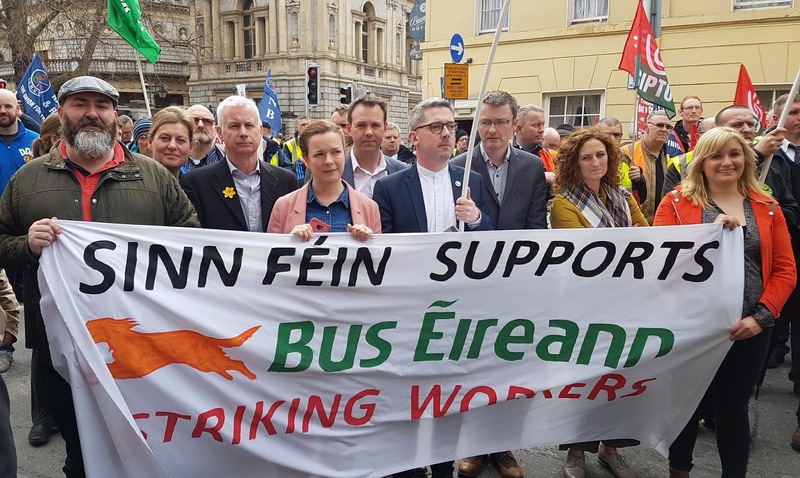 “The Government’s refusal to engage with the Unions and Management from Bus Éireann has contributed to the major strike currently underway. “It is unacceptable that in the face of a strike that is having serious consequences for tens of thousands of citizens, the government has chosen to stick its head in the sand and deny any responsibility for this. “People right across the County have been left without a service and this is having a huge impact in towns such as Arklow, Wicklow town and Baltinglass. 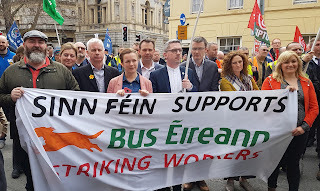 “We know that members of other CIÉ companies, Dublin Bus and Iarnród Éireann are preparing to ballot for industrial action. If this goes ahead, it will have a detrimental effect on the public. This has the potential to bring Wicklow to a standstill. “The Government is the sole shareholder; it also has a duty and responsibility to ensure that our public services function properly and effectively. It is failing in this. “I am calling on Ministers Harris and Doyle to use their influence at Cabinet level to ensure that the Government take responsibility for this mess and step in to end the chaos."